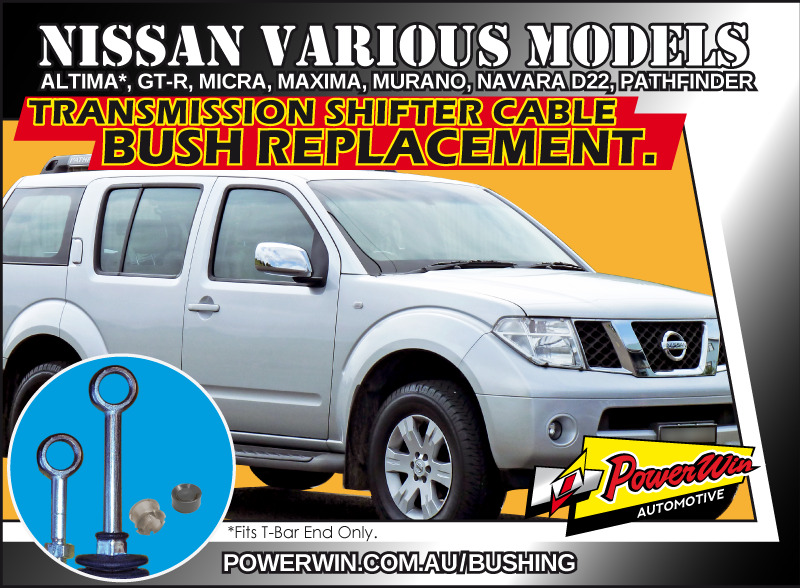 Nissan Altima, Maxima, Pathfinder and more Transmission shift cable end bush. Transmission Shifter Cable Bush Replacement kit. Will fit the T Bar end of many models of Automatic Nissans including Nissan Altima (T-Bar End), GT-R (2008 - 2017), Micra (2003 - 2016), Maxima (2000 - 2013), Murano (2003 - 2014), Navara D22 (1997 - 2004), Pathfinder (1996 - 2016). Please include a photo of your shifter cable end if needing a bush for the Transmission End.